One of the services you can avail of as a member of Philexport Cebu is certification for VAT Zero Rating for a discounted fee. 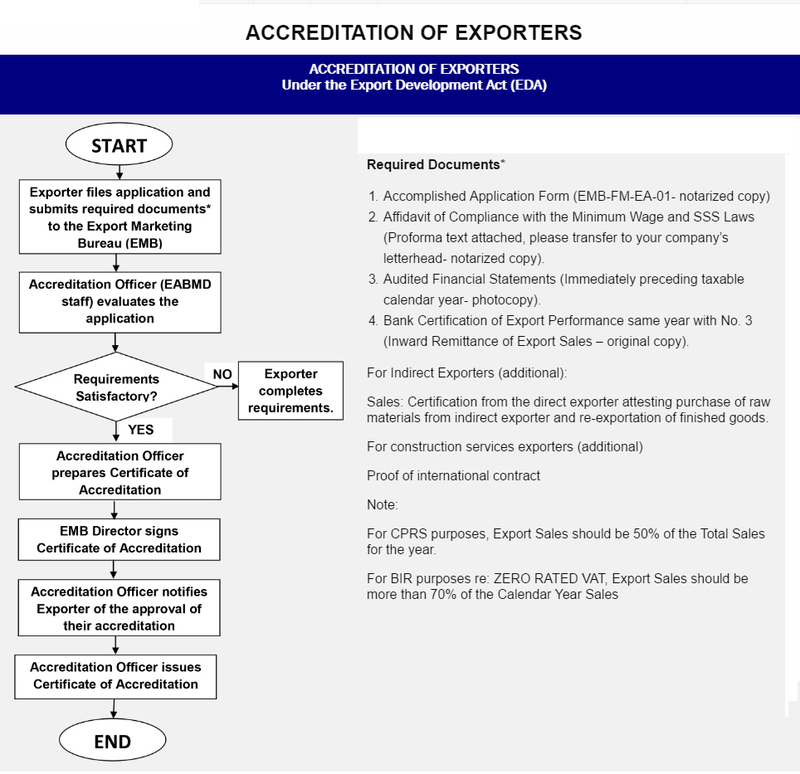 Exporters who have this certificate will be able to avoid payment of value added tax by showing to their suppliers that they are eligible or certified for zero-rated VAT. VAT zero rating is one of the incentives approved by the government to assist the export industry. The Bureau of Export Trade and Promotion of the DTI (BETP) will endorse all recommendations of Philexport Cebu to the Bureau of Internal Revenue. For additional queries, please call Ms. Amy Encontro & Kiking Morelos at (032) 254-9266.